Looking for vehicle finance but have been blacklisted? Cars mean independence – not having access to a car of your own can have a huge effect on your life as you will have to rely on others to offer transport. For some, not having a car can result in job loss as many jobs require you to have your own transport. But you needn’t be left in the dark – there is a solution! 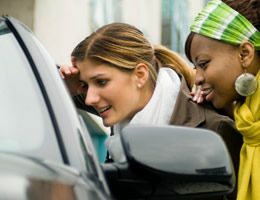 Here is your guide to getting yourself a pre-owned car quickly and easily, with the guide to vehicle finance for blacklisted South Africans. If you have had a hard time paying back loans, store cards or credit cards, you would probably have built up a bad credit history. After a time of not rectifying this, this can become a blacklisting, meaning that you can no longer receive loans or credit under your name. That means no car loans, personal loans, credit cards, store cards or home loans. If you’re already in this situation, chances are slim that you’ll have the cash to buy a car without taking a loan. Which means you’re pretty much stranded while blacklisted. The solution would be to contact a company that is able to offer loans based on their own minimum requirements, meaning that blacklistings do not apply. You will then be able purchase a pre-owned car and pay back the loan directly to the company. This will be after undergoing an assessment to make sure you meet their requirements for the loan. Regain your independence and a car, even if you’re blacklisted. Add value to your life by finding our more about vehicle finance for blacklisted customers today. Contact Earn-A-Car for new wheels!